125 million passengers enter a well managed metro fleet in Helsinki. "The Turck Vilant Solution calculates daily and overall mileage for each metro wagon. The real time metro location is made available for third party applications." Helsinki Metro operator HKL wanted to improve the positioning accuracy of the metro trains, as the resolution of the existing WLAN based positioning system was not adequate anymore. Additional requirements of the system were reporting the metro train composition and direction, as well as daily and total mileage. HKL piloted Vilant’s passive Gen2 RFID based locationing system thoroughly both in summer and in winter conditions. Especially the winter conditions caused some extra challenges for the type as well as the location of the RFID tags and antennas. The conclusions of the pilot were, that RFID tags on the sleepers needed to be robust and readable under snow and ice and the RFID antenna needed to be rugged and positioned safely to the train chassis. After a successful pilot HKL decided to roll-out Vilant’s system to all trains and the full length of Helsinki’s metro railway system as well as for the metro depot’s maintenance tracks. 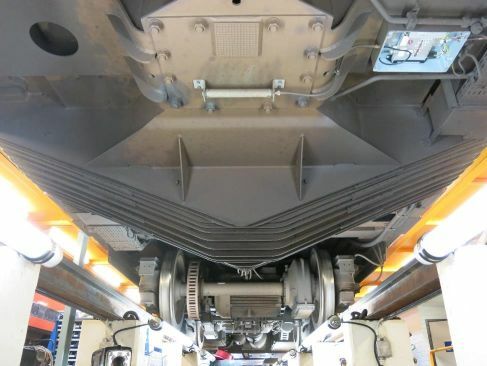 The system consists of a Vilant RFID on-train reader unit and Vilant engine embedded software in RFID readers for controlling reader and backend connectivity. Vilant Server is used for storing data, fleet management and interfaces to HKL backend. RFID tags were installed on every 50 meters on the sleepers of the metro track. Vilant Server calculates daily and overall mileage for each metro wagon. The real time metro location is made available on a public interface for mobile application developers to create new ways to plan and follow public transportation journeys. Vilant brings over 15 years of experience in RFID and is one of Europe’s leading RFID system providers. Vilant provides rugged, intelligent and innovative turnkey solutions for railroad infrastructure providers and train operators based on passive Gen2 RFID technology. HKL is Helsinki region’s metro operator with net revenue of €31,8 million in 2013. Metro is nowadays an important mean of travel in Helsinki area and it carries yearly 62 million passengers.